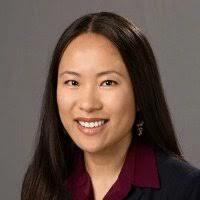 Amy Li (@AmyLiphd) is a second-year assistant professor in the Department of Leadership, Policy, and Development at the University of Northern Colorado. Given that her research interests are in the areas of higher education finance and policy, it is no surprise that our paths quickly crossed on the conference circuit. Amy then reached out to me as she was finishing her PhD at the University of Washington to talk about future plans after graduation. We had a nice Skype conversation, and then a day later we received a call for paper proposals from The ANNALS of the American Academy of Political and Social Science for a special issue on student loan debt. We decided to put in a proposal for a paper comparing factors affecting student loan default and repayment rates, which was accepted. I enjoyed working with Amy on the resulting article, which was recently cited in Senator Lamar Alexander’s white paper on Higher Education Act reauthorization. We also have more follow-up research in progress on this topic. Amy has written several articles on state performance-based funding policies using both qualitative and quantitative methods (an unusual skill for a researcher). This includes topics such as what leads states to adopt performance funding, the policies’ implications on equity, and how institutions are interpreting these policies. She has also received two research grants: one to examine the equity implications of tuition-free college programs and one examining the price sensitivity of law school students.